O Phaser 7750 já não se encontra à venda como novo. 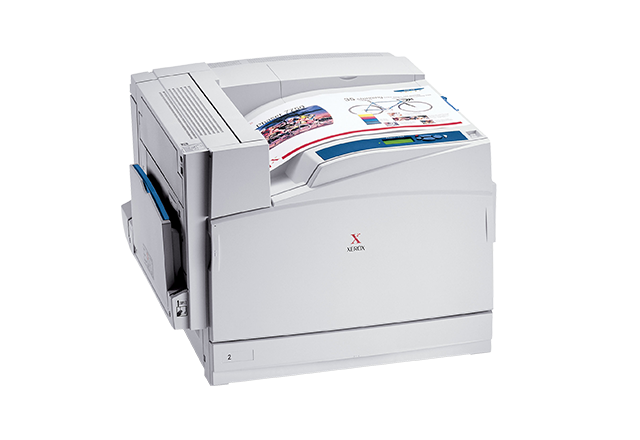 "Xeroxs Phaser 7750 Color Laser Printer Sets the Bar"
The Phaser 7750 earns a "Highly Recommended" designation in this very positive standalone review. The reviewer, David Em, praises the printer's image quality, speed, ease-of-installation, media handling and reliability. David closes with, "Simply put, the 7750DN's the best color laser printer we've ever tested in the Media Lab. Highly Recommended." The Phaser 7750 receives a rating of 5 out of 5 and first place in this tabloid color printer roundup. "This (Phaser 7750) truly is a remarkable printer clearly designed to produce first-class prints and also provide a first-class user experience," says Mac Design. Additionally, the article refers to the Xerox website as "a model of usability". 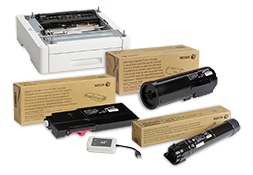 "Xerox continues to deliver better, faster, and less expensive digital printing solutions. The 7750 delivers another stunning performer to its office and design line. The addition of EA toner, blazing print speed, color tools, and IT smart systems provide a compelling solution for the high-end tabloid printer user," says Digital Publishing Solutions. HP, Xerox Go Head to Head with Color Lasers - "The Xerox Phaser 7750/DN has significantly faster performance and, at the high end, offers more features dollar for dollar, making it a much better value and our clear choice." Phaser 7750, Score 8.0, Rating Very Good - "No other printer in our round-up excels in as many areas as Xerox's Phaser 7750 DN. This machine is full-featured and fast, with great looking output and economical consumables." 7750 Wins Editor's Choice Award -"The Xerox Phaser 7750/DN has significantly faster performance and, at the high end, offers more features dollar for dollar, making it a much better value and our clear choice."